Since the arrest of a Huawei official in Canada, commodity flows between Canada and China have slowed. Reuters reports that the political dispute between China and Canada over the arrest of a Huawei executive is slowing canola shipments through Chinese ports and causing some importers to hesitate to buy from their biggest supplier. Cargoes of Canadian canola in the time since the arrest have taken longer to clear Chinese customs and GMO permits. Canola stocks in Canada have reached record-high year-end levels and trade analysts call the delays by China in approving the shipments unusual. Normally, China buys some $2.5 billion of Canadian canola each year. 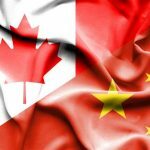 Trade officials suspect that China is likely carrying out the heightened checks to “pressure Canada” amid the current diplomatic tensions.